There are three kinds of ants in a colony: The queen, the female workers, and males. The queen and the males have wings, while the workers don’t have wings. The queen is the only ant that can lay eggs. 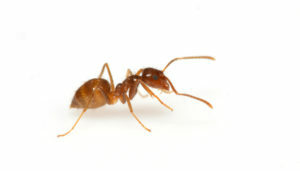 The male ant’s job is to mate with future queen ants and they do not live very long afterwards. Once the queen grows to adulthood, she spends the rest of her life laying eggs! Depending on the species, a colony may have one queen or many queens.